Finding the best multi effects pedal is certainly a fun journey which I have enjoyed, and I hope that by reading through my article and handy buyer’s guide you’ll be able to find the right pedal for you! Boss is a name that seems like it’s been around forever, and with that comes a foundation of knowledge that creates an amazing sound right across the spectrum. With a simple, compact package that sits neatly squarely where you want it, I think you’ll have everything you want when it comes to getting creative with the push of a button. 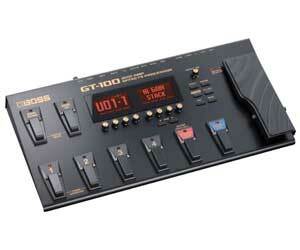 Whether you want the standard default sounds that are guaranteed to please, or you want full customization then I don’t think you’re going to be disappointed by the GT-100. When it comes time to talk customization, we really need to think about tone-sculpting. This is where you have the freedom to adjust tones and harmonics to create multi-layered sounds which always hit the right note. 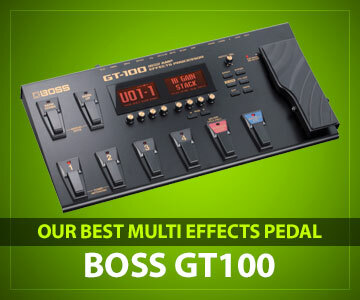 What the GT-100 does as good as any pedal out there is allow you to get creative with the way in which you build your sound. By adding in overdrives and distortions, you can max out certain parts of the spectrum while suppressing others. That gives you the ability to create a unique sound that you can adjust and play with without having to worry about clipping or saturating your amp. 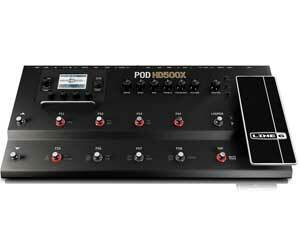 While a number of pedals will focus on the technical details at the expense of the user experience, I really enjoyed the back to basics approach Boss took with their interface. By giving you everything you need and nothing more, they give you the creative tools you’ve been looking for without running the risk of overwhelming your senses with a vast array of options that to be honest you just don’t need. Playing the electric guitar is all about having the ability to express the depth of your own unique sound freely. 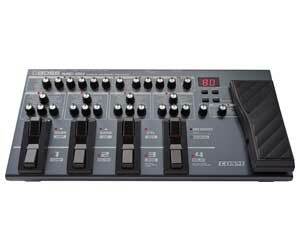 In my opinion, this is where the GT-100 really comes into its own and makes a compelling case for being called a legitimate contender for the title of the best multi-effects pedal. By being able to control more than one sound parameter at the same time, you’ll be able to create the tonally rich sound that you’ve been looking for and sample your favorite harmonics to create loops that really help you sculpt a unique sound. The GT-100 gets two thumbs up from me if you’re looking for a reliable and versatile pedal that allows you to get creative with building your own unique sound. The minor criticisms I’ve made of the library are more than outweighed by the versatility and ease of use of the unit as a whole. That makes it an excellent option for everyone from complete beginners to improvers and beyond. Highly recommended and certainly worth a closer look as you go in search of the best multi-effects pedal on the market. The HD500X is certainly a pedal that I was looking forward to taking a closer look at so let’s get right to it! With a reputation in the industry for making highly durable and versatile equipment that will stand the test of time, Line 6 always bring something tried and trusted to the debate about the best multi-effects pedal. What I really like about their latest offering is that they’ve created a quite simple looking body with a whole wealth of technical innovations that lie just below the surface. This is a great way of making their pedal accessible to brand new users, as well as providing the range of functions and options that the life-long musician will have come to expect. When you’re busy sculpting your own sound, there’s nothing more important than having a full library of all the basic sounds at your disposal. Not only does the HD500X give you that, but you also get everything with the extra touch of studio quality tones. In my opinion, this makes all the difference because when you really get into creating your own sound, you’ll be able to tell the difference between off the shelf sampling and genuine studio-quality samples. That is a really nice touch because it allows you to build a sound that is rich in all of the harmonics that enable you to really go off and explore whichever way your mood and your music take you. When I then looked a little further into what the HD500X has to offer I’m delighted to say that I found the sonic depth doesn’t dip or degrade no matter how hard you push it in any given direction along the tonal spectrum. If you’re someone who likes to play on the edge, then this is excellent news indeed! The customization of the HD500X is a great way to explore your music like never before. I found that the preset options gave more than enough options to get started and before you know it I think that you’ll be creating something the like of which the world has never heard. Not only that but by being able to fully assign the MIDI controller, you’ll be able to drive virtually anything you want to. 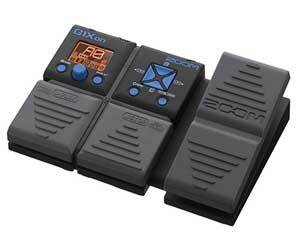 I also was very impressed with how easy it is to reassign a pedal to do something new. So many pedals out there fall down when you come to go in a different direction with your music. What the HD500X does is make this quick and easy so that you never come to a halt when you come to interface with the software side of things. I think that if you’re the kind of player who loves to experiment and chop and change the way you make your sounds, then this certainly makes it worth a closer look. I was impressed with the broad range of features on offer when I looked at the HD500X. If you’re keen to experiment with your sound and take it any direction, you feel like then this is a pedal that is certainly worth some closer consideration on your part. With a host of options that are neatly packaged into a simple to use interface, you’ll be able to get creative without getting overwhelmed by a whole host of complex settings that you will rarely if ever need to adjust. In my opinion, this makes it a great candidate for a pedal for the new and improving player who wants to be able to add some studio quality sound to their practice sessions. Boss knows a thing or two about creating pedals that are loved by all abilities and styles which is why I was keen to take a closer look at one of their latest offerings: the ME-80. With a rugged package that instantly makes you feel like you’re standing over something built for the job, they give you a level of customization and versatility that is hard to beat. Something I instantly liked was the breadth of the samples that are on offer. Not only do you have access to the Boss stomps that we all know and love, but you also get a whole host of the latest MDP effects to play around with. This is a great way to create to multi-layered sounds you can loop and sample in any which way you want to, and something I think you’ll certainly enjoy experimenting with. Another thing I think you’ll be interested in taking a closer look at is the manual mode that allows you to stomp seamlessly between the various options so that you can chop and change your sound as your mood takes you. Layering your sound is all about creating a depth that resonates as you play. Something I think you’re going to like is the built-in phrase looper. By being able to loop for anywhere up to 38 seconds, you’ll be able to create sounds which allow you to take your music in any creative direction you feel like at the time. You can also easily interface to Boss’s software using the USB port on the side. That makes things easy because you can move your sounds between your pedal and PC in a couple of seconds; a handy feature that will go down well with the type of player who loves to keep experimenting until they discover something truly unique. Can be prone to clipping and slightly fizzy sound when you push it hard. Granted you have to be right at the envelope of what it can achieve even to notice this, but if you’re a player who likes to see how far you can push things, then this is indeed something you should factor into your thinking when you come to make your final decision. An excellent option for the new and improving player who wants to get started without the hassle of having to master a complicated pedal and a difficult to use piece of software to power it. With a range of simple yet powerful options at your disposal, I think you’ll be able to create something unique that allows you to express your musical tastes, no matter how hard or soft; you like your sounds. If you’re a little more advanced and want to really push the envelope, then it will be worth you paying a little extra attention to the quality of the overdrive and the COSM amps. This isn’t to try and put you off at all, more just a polite recommendation so that you definitely end up with a pedal that you’re completely happy with. Zoom has a reputation for keeping things simple by focusing on getting the basics perfect. This alone was enough for me to get excited about taking a closer look at their G3X pedal. With a whole host of options all embedded in a stylish yet straightforward unit, the G3X allows you to get creative with the way in which you sculpt your tones and build your sounds. I personally really liked the way in which the unit comes together; the displays are crisp and easy to work with, the pedal fits comfortably under your foot, and the dials are simple and easy to get to know. 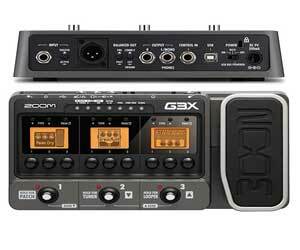 In short, I think the G3X has all the makings of a great choice for a whole host of abilities and styles of guitarist, so let’s take a closer look at the details behind it! A good library of effects is essential if you’re to get truly creative, and in this regard the G3X has everything covered. With studio quality sounds used throughout you’ll have everything you need ready and waiting when you decide to take your music in a different direction. I really rate this because when you combine it with the 40-second looper, you have the freedom and flexibility to get creative any which way you choose. Something else that I think you’ll be interested to hear about is the fully integrated drum machine. This will give you even more license to layer your sounds and create a memorable tune that you love to tweak and adjust until you fall in love with it. It’s important to note that a drum machine isn’t a standard option on every pedal, so if it’s something you have your heart set on then you may want to give serious consideration to the G3X when you come to choose your next pedal. Another little feature that I think you’ll be glad I highlighted is that the G3X is battery operated with a lifetime of up to 6 hours. This means that you can take it wherever you want, and if you’re the someone who loves to get energetic when you’re playing to a crowd you won’t have to play it safe in case you trip on a wire mid-set! I also liked that you can take virtually your entire sample library with you because the memory mode will store up to 100 original tones. You can then even add more using the simple USB interface so that no matter where you end up playing or practicing you’ll have everything you need when you decide to create a new sound right there and then. I really liked the G3X because it is quick and easy to get used to the moment you take it out of the box. The library of sounds is impressive and easy to adapt, plus when you add in the looper and the integrated drum machine you’re getting a lot of versatility and creative license in a single unit. You’ll also be pleasantly surprised by how easy it is to upload your additional sounds and samples via the built-in USB port. One possible area you may want to look into a bit closer will be the assignment of the pedal. Because you can’t do it globally, you’ll have to get used to an element of manual adjustment that there is no getting around. That said, if you’re happy with that, then there’s certainly no reason why you shouldn’t consider the G3X as one of the major contenders on your shortlist for your next pedal. What better way to round off my shortlist of 5 of the best than with a second entry from the team at Zoom. Their latest offering is an exciting mix of professional quality sound and simple, lightweight design that allows you to explore your sound no matter where your travels take you. With a whole host of functionality on offer from every pedal on the market, sometimes I think that it’s going back to basics that matters more than anything. What Zoom have done here is use Oxygen-Free Copper (OFC) throughout. If this is not something that you’ve heard of before, then I’m pleased to tell you that it’s the material of choice for optimizing signal clarity. When you add to the mix the thoroughly grounded shielding that comes as standard you have the perfect recipe for a pedal that goes the extra mile to preserve and enhance the quality of its sound. I really like this instrumentation based approach because it shows that Zoom understands the importance of the quality of their hardware and that they don’t simply rely on a complex range of software-defined options to try and sell pedals. With 75 effects and 14 different amp models to choose from the G1Xon makes getting creative refreshingly simple, no matter what level you’re currently playing at. This is something that I think you’ll really enjoy because it gives you the freedom to explore your music in a way that doesn’t tie you into having to learn a complex array of dials and the overly complicated software that so often comes with units of that ilk. Instead, I think that you’ll find yourself able to play straight out of the box and that the moment it arrives at your door you’ll be able to get busy playing and looping with ease. I believe that this alone will be reason enough for you to keep the G1Xon on your shortlist when you come to find your perfect pedal. A great pedal if you’re looking for something that does it all and gives you the freedom to get creative with the way you layer your sounds. I would like to think that I only recommend tried and trusted units, and the G1Xon is no different in that regard. If you tend to be highly discerning when it comes to the tonal quality and depth of your sound, then you may want to listen to a comparison of the output when its played through studio headphones as opposed to your main amp. While I don’t think this will be a big issue for many guitarists, I would say that it is a safe way of avoiding disappointment and of ensuring you get something that you’re 100% happy with from the moment it arrives. Now that you’ve heard my thoughts on five of the best on the market, let’s jump right back into things in the form of my handy buyer’s guide! This is the place to come to when you want answers to the technical questions you just can’t find anywhere else, and I hope it will be a big help when you come to look in detail at the specs of your shortlisted pedals. Do I Need a Pedal to Play an Electric Guitar? Are the Pedals Really Durable Enough? What Does Chaining Pedals Mean? Will My Pedal Work With Any Electric Guitar? Is There a Particular Pedal That All the Pros Use? When Should I Start Using a Pedal? How Long Will it Take Me to Master My Pedal? Will Using Headphones Change My Sound? This is an important thing to cover for the beginner guitarist. While you don’t have to have a pedal to play (you only need an amp), you will be able to do far more with your new instrument if you get a multi-effect pedal. Think of it as your all-in-one option for looping, layering, and cutting sounds. In short, it gives you most of the functions of a full studio deck but without the outlay on studio time and the team you need to man it. Take it from me that they certainly are! Pedals are designed for guitarists, by guitarists. The companies that make them know that you won’t be sat quietly strumming at a desk when you come to use their product. You’ll be getting fully immersed in your music and throwing yourself about with great abandon if you’re anything like me. While you don’t want to overdo things or mistreat your pedal, they’re referred to as stomp pedals for a very good reason! They’ll take everything you throw at them and still be waiting there for more. That means that no matter how much energy you like to bring to your music your pedal will be up to the task. This is one of the extremely cool things that you can only do with a multi-effect pedal! Looping is where you record a short sample, anywhere from a couple of seconds up to 30 – 40s is typical, and you have it play over and over in the background. You can then keep playing and create something that’s multi-layered even though you’re practicing solo. Without looping half of the classic tracks that you’ve grown up listening to wouldn’t have been possible, so it is certainly something I recommend you give a try! Reverb is what will set a homemade track apart from a studio recording, and it’s basically the echo of your sound in the room you’re playing in. Get it wrong, and everything will overlap and sound awful, but get it perfect, and you’ll be able to add a depth and a fullness to your sound that is really something special. What’s really interesting about electric guitars is that with a pedal and an amp you can add some reverb and tune your sound so that it feels fuller. I think that’s cool and something, and something you’ll definitely enjoy playing with. This is just another name for your classic multi-effect pedal. You’ll hear different music scenes use slightly different names for pedals, but if they’re talking about modulating their sounds, then they’re all talking about the tried and trusted multi-effect pedal. More advanced players sometimes gravitate towards separate pedals for each of the main effects. This is mostly a matter of personal choice and taste, and if you want to stay with your multi-effect pedal forever then there’s certainly no shame in that! When you decide to experiment with individual pedals, you need to pay attention to the order of the pedals. That is because you’ll only be running a single cable from your guitar to your amp. Swapping two pedals around will change the overall effect that you have on your sound. The connector types on pedals, amps, and electric guitars have all been standardized which makes swapping parts of your setup in and out really simple. Personally I always double check I have the right connectors before ordering a new part, but that’s just me being cautious. If you’re ever in doubt, a quick Google or a trip to your local music store will clear things up in no time at all. There isn’t, and it’s really just a matter of personal taste. Some professional musicians will spend astronomical amounts on a certain pedal, while others will stay loyal to one they’ve been playing with for years just because they love using it and feel comfortable doing so. The most important thing here is to remember that practice makes perfect. It doesn’t matter if you have the best pedal in the world if you only practice once a month. Find something that you feel comfortable with, play regularly, and then take things from there. You’ll be amazed at how quickly your skills develop with consistent practice. What I suggest is that if you’ve been playing for a while, you can get started whenever the mood takes you. The new variety of effects are there for you to explore and I think you’ll have a lot of fun playing with them! If you’re just starting out then it’s never too early to get started; by exposing yourself to one of the fundamental pieces of hardware you’ll use for years, you certainly aren’t slowing down your progress or running the risk of brushing over the fundamentals. Once you can play a couple of chords why not start using your feet and letting your ear explore the different effects that you can work into your music as you build your own distinctive sound? The more you practice, the faster you’ll get comfortable with your pedal. As with everything in music, there’s no ultimate level that you reach because you can always improve your fundamentals and you can always go down a new creative avenue. In fact, if you’re anything like me you’ll find that your pedal will allow you to do all manner of new and exciting things that you thought would be beyond you for years. This really depends on the quality of your headphones. If you have a top of the range amp and a budget pair of headphones, then you’ll notice the sound is better out of your amp. But if you opt for good quality headphones then you won’t sacrifice the quality and depth of your sound when you need to keep the noise to a minimum so as not to wake the other members of your household! Shop around for a pair you’re happy with, and you’ll be on the right track.